As a Londoner of Iraqi origin, I developed an interest in the fermentation processes at a young age after visiting the British Museum. I came across an exhibit that contained a Mesopotamian clay tablet emblazoned with cuneiform, which turned out to be the oldest recipe for making beer. I felt an unusual sense of pride, and thus began my long and wonderful relationship with biotransformation and beer. Several weeks ago, Aaron Hubbell and I attended the ISPE Boston social and learning event at Jack's Abbey Barrel Room. 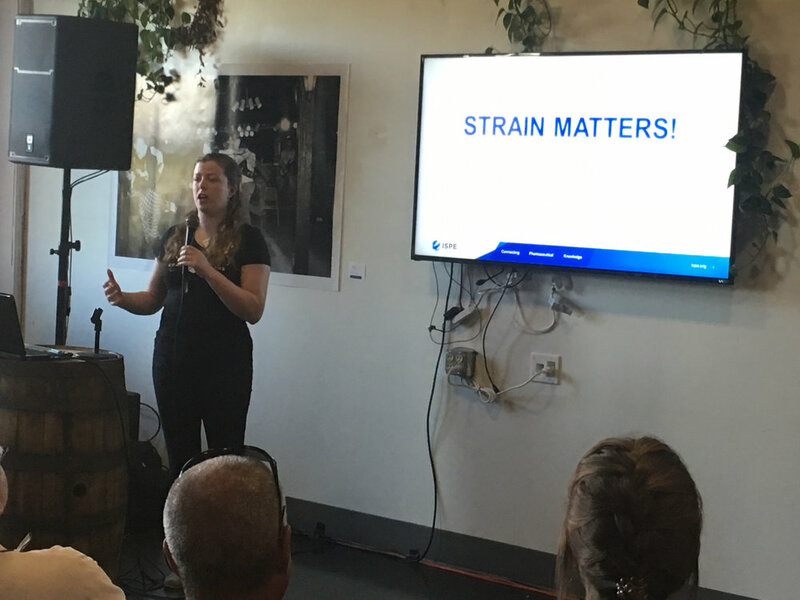 This event focused on biotransformation, including the technology of brewing and how this is applied on a commercial scale, as well as for the home brewer. Kate Steblenko, a Beer Scientist (if only I knew this was a potential career path 25 years ago), kicked off the evening by discussing the new brewing technologies and the science behind these processes. Kate walked us through the various strains used in making lagers, IPAs, and Belgian beers, in addition to the taste profiles they create. Most striking to me were the parallels between our industries in how a variable, such as yeast strain, hop variety, addition timing, and fermentation temperature scheme, can dramatically impact the style and quality of the brew. In the biopharmaceutical industry, we control the same variables: cell line, media feed strategy, and critical process parameters for a different outcome. After the brewing talks, several samples were passed out to the crowd to compare the subtle flavor profiles. At this stage I QC'ed several of the local brews, which made the Q&A way more fun than it should be. Many thanks to our host Eric Felz and the local ISPE leadership for putting together such a great event! Older PostMeet Lee Anderson, Senior Quality Engineer at Delta!